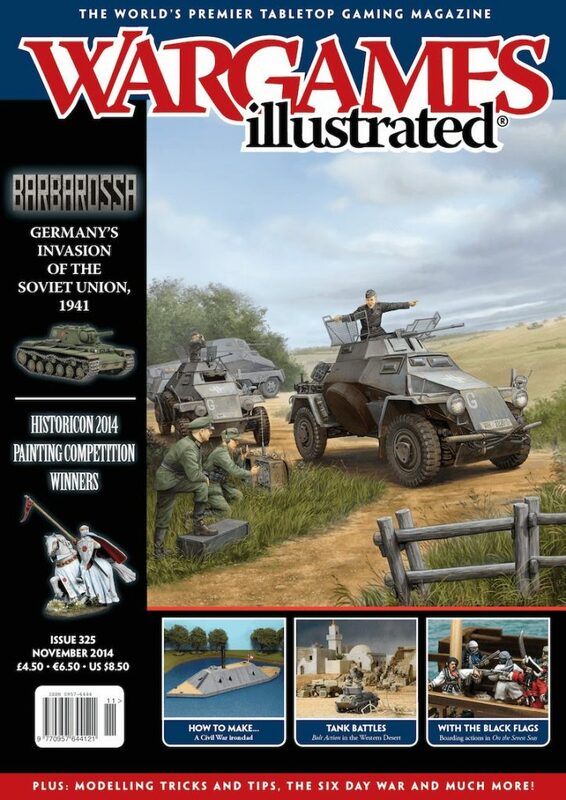 The November 2014 issue of Wargames Illustrated. Taking the theme of Barbarossa, Germany’s invasion of the Soviet Union, 1941. An Early War Battle Report from Wayne Turner and Casey Davies of the Battlefront Design Team. These are dark days for the Soviet Union as the seemingly unstoppable forces of the Third Reich push ever deeper into the Motherland. Author of Osprey Publishing’s On the Seven Seas, Chris Peers, elaborates on his rules for pirate boarding actions in the game, and painter and photographer Kevin Dallimore accompanies his words with some great pictures. Otto Carius’ rise from a rejected recruit to tank ace was meteoric but ultimately forged in the white heat of battle. Mike Haught of Battlefront presents an account of this rise and provides some rules for Carius to be used in both Early and Mid War German forces. Model-making maestro Paul Davies returns with a guide to constructing a large scale American Civil War Ironclad. The release of Barbarossa for Flames Of War brings to an end the series of Early War Intelligence Handbooks from Battlefront. 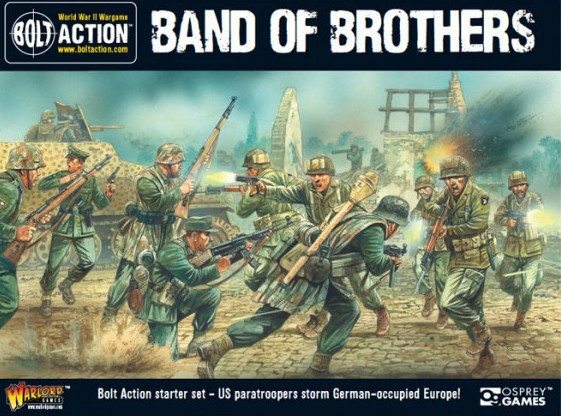 Writer Wayne Turner of the Battlefront Design Team looks at the whole range of Early War products which are now available. A mega-wargame of the Battle of Himera, in which a combined Greek army dealt a crushing blow to the invading Carthaginians. One convention, one table, four games. Kyle Gibson of the Triangle Simulation Society, tells us how his group put on multiple participation games at shows. We gave the recently released Bolt Action supplement Tank War a spin in the Western Desert using Perry Miniatures collection of figures and with Bolt Action co-author Rick Priestley at the wheel. Here Rick highlights some of the action from the game. For the second year running WI sponsored the painting competition at HISTORICON in Fredricksburg. Again the standard was very high. In this article we look at some of the best entries from the show. The first in a new series of articles in which hobbyists share some of there “modelling tricks and tips”. This month Nick Buxey talks about the difficulty of representing a crowded jungle on the tabletop, and his approach to creating tropical flora for wargames. As a prelude to the eagerly awaited full intelligence briefing for Flames Of War,author Phil Yates takes us through the different forces available for each of the factions who took part in the 1967 Six-Day War between Israel and the surrounding Arab states. Inspired by the campaign system outlined in the Black Powder supplement – The Last Argument of Kings, Scott Perry takes the idea and runs with it, presenting in this article campaign ideas for three different periods, from ancients to World War Two. Matt Moran very kindly came to visit us and present his new rules, set during the Modern Era. He then agreed to write about them and how he has managed to fit them all on one sheet of paper! Simon Miller is known for the large and impressive ancients games he displays at UK shows. This year (amongst others!) he presented the Battle of Cremona (AKA The Battle of Bedriacum) AD69, the year of the four Emperors, and in this article he tells us how the game came together. Games Designer Alessio Cavatore discusses how to know when enough playtesting is enough and when to press the button to print a set of wargames rules.